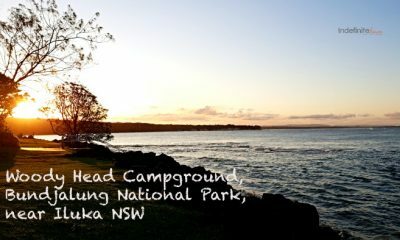 The Illaroo Campground, Yuraygir National Park, Minnie Waters comprises 2 options, the North and South camps. 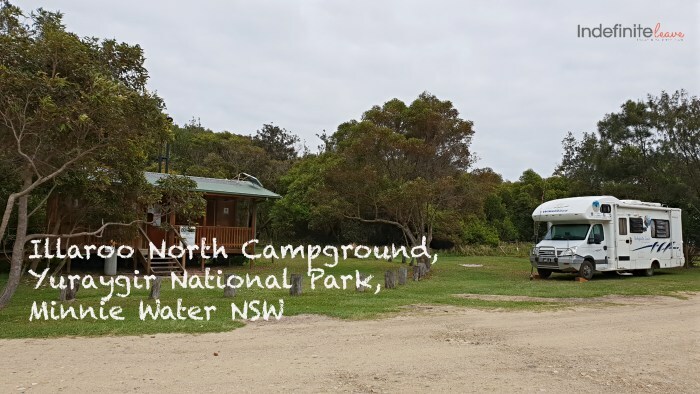 Our stay was in the Illaroo North Campground. 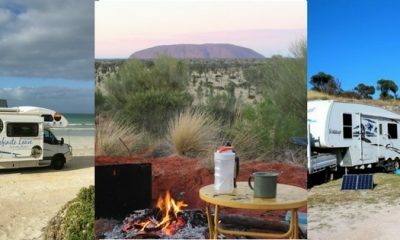 Only a few kms from the Illaroo Campground is Wooli on the NSW Coast and it is not far from Grafton. The road in is bitumen to the turnoff with the last 2kms on dirt road which had many potholes when we were there. Take it easy and you will have no issues. Bins are available and there are toilets. A BBQ overlooking the beach is also available. There is no Telstra Phone coverage at Illaroo North Campground however Optus does work here. This is National Park and therefore pets are prohibited. Our site was quite large and most come with a fire pit. 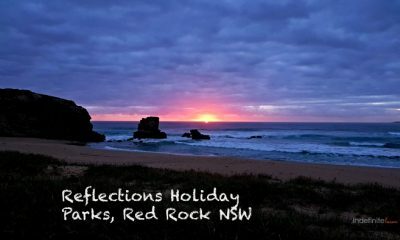 Also you will need a NSW National Parks vehicle pass for $8 per day or we have the annual pass for $65. Cost to stay is $12 per adult per night. Children are $6 per night. Visitors are $8 per day. 192. 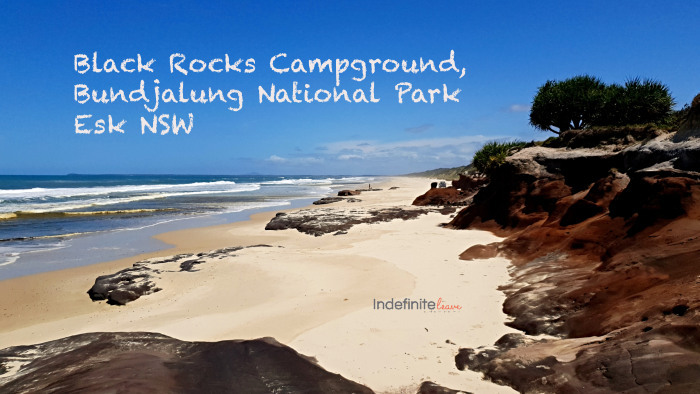 Woody Head Campground in the Bundjalung National Park is just 5 kms from Iluka in NSW. 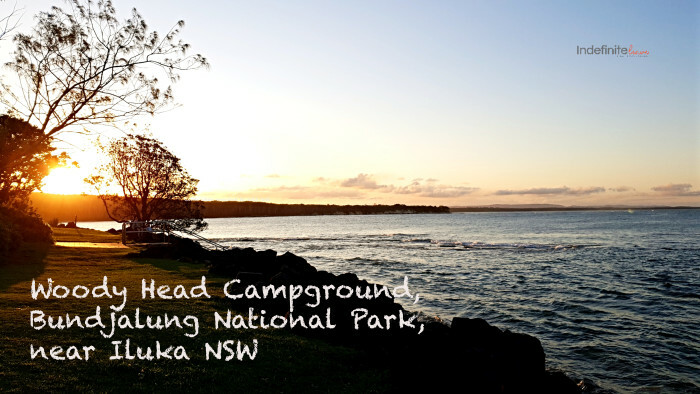 All sites at the Woody Head Campground are unpowered but all other facilities are provided including Toilets and Showers, water to each site, bins and a dump point. There’s even a boat ramp and the boaties were catching heaps of fish. Kangaroos roam the park and aren’t scared away by humans. There’s a beautiful bay to fish, snorkel and swim. Fire pits are located in various positions around the large campground which has 94 campsites. On arrival just check in at the office and book your site. We had good Telstra and Vodafone reception. 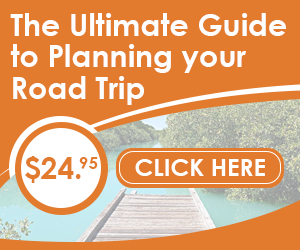 The cost to stay is $34.85 per night for 2 adults. Additional adults are $17 and children 5-15yo are $8.50 per night. Children 4 and under are free. 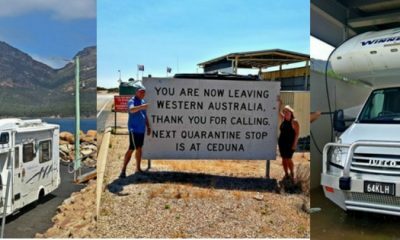 Our stay was 22-23rd October 2018. 191. Black Rocks Campground is in the Bundjalung National Park in northern NSW approx a 40km drive south from Evans Head. A short stroll to the beach from your campsite to the beach and you quickly know where they got the name from. It is a beautiful beach with stunning contracts from rock formations. 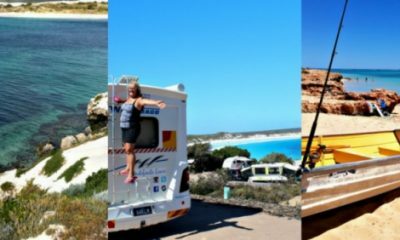 Access to the beach from the campground by 4wd is not possible but you can drive there from Iluka which is a bit further south. A short walk will also take you to Jerusalem Creek nearby where you can swim and fish or take an 8km walk to discover it’s full beauty. 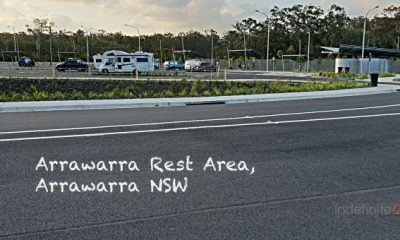 The road in to the Campground includes approx 15kms of dirt road however it is in pretty good condition and we had no problems driving in with our Motorhome. The campground has drop toilets and BBQ’s and each site includes a Fire pit and clothesline. 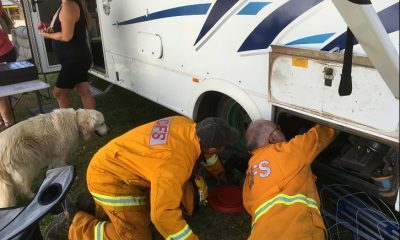 There is No water available at the Campground, you will need to bring your own. It is National Park and therefore No pets are allowed. A dump point is available. The cost to stay is $24.60 for 2 adults per night. 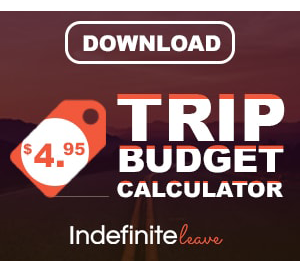 It is $8 for children and you will need a National Parks vehicle pass which is $8 per day or we bought a 12 month pass for $65. 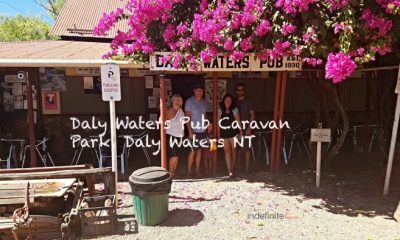 Our stay was 19th-21st October 2018. 188. We came across this place, the Cobb & Co Nine Mile Campground, on a day trip north of the Sunshine Coast and had to do a video. It looks like a really awesome place to stay, especially if you have children travelling with you. There are no powered sites at the Cobb & Co Nine Mile Campground however there are good amenities, water, bins, BBQ’s and fire pits. The camping areas are huge, you will certainly find space for a rig of any size. The children’s play areas are certainly unique. Jumping pillows are replaced by boats to play on, Flying foxes, great bike tracks with jumps and lots more. There are animals, horse and cart rides and a train ride available. It is pet friendly. We had Telstra coverage. Cost to stay is $15 per adult and $10 per child.